This post might not be a 20k post, but if it is, there's a good chance it's on accident. 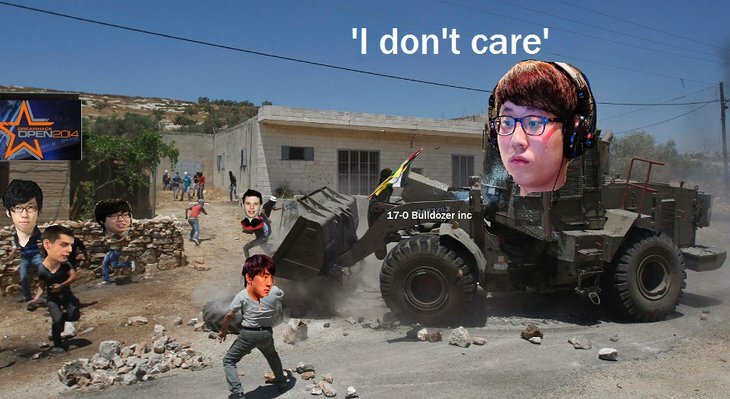 Disclaimer: This blog is endorsed by the owners of the Liquid`TaeJa and IMMvp fan clubs and probably reflects the opinion of the silent majority of teamliquid.net. Over the last 15 years or so, I've noticed a disturbing trend in many people that watch ESPORT games. They, amazingly, have the nerve to decide that one player or team deserves to win more than the other, and follow this decision up by making posts on online forums declaring that they think or hope that the player will win. Amazingly, some people take this a step further by similar posts about players or teams that they think don't deserve to win. Obviously, there is a conspiracy between these people to destroy ESPORTS. They plan to use an artificial emotion they call "passion" to overhype tournaments and players beyond what they supposedly deserve. Of course, I don't expect anyone that is reading this blog to be a part of this unusual conspiracy, but one never knows. Evidence of this plot is everywhere. Examine the most recent WCS AM thread here. The original poster of the thread expresses his "passion" in the second post. He is trying to convince everyone that he is heavily invested in the game and its survival. Obviously, he isn't, for he did not organize the tournament, nor did he cast it, or work behind the scenes, or provide the prize pool, or play in the tournament, or show up and cheer for people. These tasks are reserved for the many fine people that put in dozens or even hundreds of hours of effort and work to make everything possible for ESPORTS to be alive, who we should all thank and support in the future. What this deceptive person does is simply putting a few hours into bolding, copy-pasting, and posting polls, as well as posting what's going on in the game in real-time. This last part is the most misleading. He gives the illusion of helping people who can't watch the game, which is ridiculous. Everyone can watch the game if they are able to read the thread in real-time. Internet connection is always consistent and technology has advanced to the point where phones can browse the web and watch videos. In addition, he writes so much about the game that it takes just as long to read it as it does to watch the actual game so it's not really worth it to read the posts at all. Anyway, he almost makes it seem like he is unable to travel across the country to watch the games at the studio that WCS provides for people that are not a part of an evil plot to destroy ESPORTS. The conspiracy is a sham. Players do not deserve to win more than other players. We are all human beings and, therefore, we are all equals and have rights to the same things as everyone else. Hard work is an illusion cooked up by the Illuminati to make us feel good about laboring. Skill is a coincidental pattern that pops up occasionally in lucky people. Experience is nothing more than a reflex that develops in the human body, allowing people to be unusually consistent. 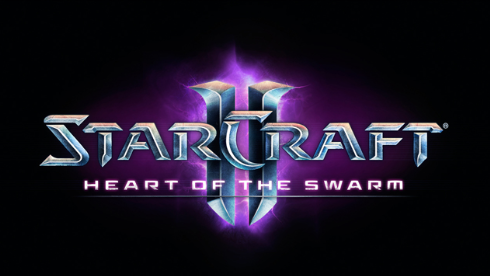 Anyway, we are all starcraft players, and since Blizzard Entertainment owns SCII, we are part of Blizzard. Therefore, there is really no reason to actually hype up individuals considering we all submit to the higher power of Blizzard. There is no reason to display passion because we all share it. Therefore, anyone on these forums who seems to be a harder worker or a more involved individual is faking it. 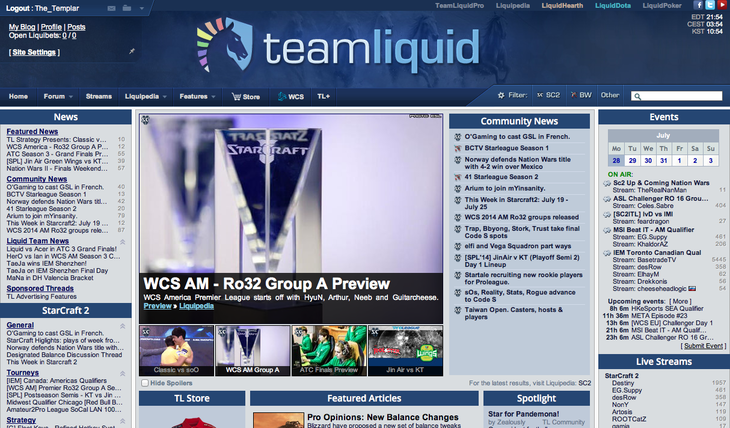 They should be expelled from Team Liquid's site for being part of a detrimental plot. As part of this new equality movement, I would like everyone to sign up for all of the fan clubs on this site. Do not sign up for fanclubs because fanclub is not an actual word. (shout-out to SeeKeR) Believe me, I used spell check. The fanclubs are all owned by the "passionate" people. Fan clubs (and fanclubs) can be found here. By the way, I would like to request that The TaeJa fanclub be renamed to The TaeJa Fan Club. This is not bias because that would be individuality. I would just like to begin this new movement to get rid of fanclubs, and the owners of fanclubs, forever. In fact, I would like all fan clubs to be integrated into one huge fan club. 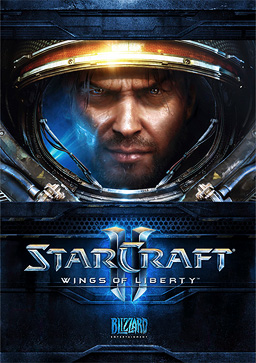 As we are all fans of starcraft (or part of a conspiracy), it is reasonable to combine all players into one thread. 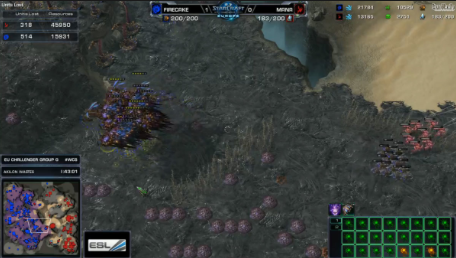 We could call it the "Starcraft II Fan Club". Here's an example of what the Starcraft II Fan Club would look like. This is the SCII Fan Club! Who the hell makes fan pics of SCII? Note: The above is a template. Feel free to make this fan club. However, be warned that you are taking control of the entire fandom of SCII and ESPORTS depends on you regularly updating it. Preferably every day. It might take you a few hours every day to find and update all of the events going on in SCII. Or, you could just look here. However, if feel like you deserve controlling the fate of SCII enough to make the fan club, you are too individual and not really a part of SCII. After all, would a part of you make a fan club of yourself? Therefore, you must be banned for not really liking SCII enough to be a part of it, and everyone will laugh at you here. In fact, as I said earlier, anything you do online will be interpreted by all of SCII as trying to look better than you are. So don't try. Don't even run map jams to try to improve the creativity of mapmakers or anything. Just be a fan of SCII, of good games, and ESPORTS. Anything else is detrimental to the livelihood of this site. -Everyone that has LR'd. Without even one you guys we would have not adequately covered at least one day of a tournament, and that would have been a total disaster. Finally, here is a live report of this blog compared to Gumba's 10k blog, which I will update later. GumBa opens with an introduction. The_Templar goes disclaimer before conspiracy theory. GumBa transitions into his experience on TL. The_Templar destroys the conspiracy with blink stalkers and goes for a hidden expansion in the fan clubs section. GumBa gets the shoutout on the LR crew first. GumBa going for the unusual tactic of a fanfic. The_Templar discourages a possible fan club counterattack by walling off. The_Templar gives a shoutout to pretty much everyone. GumBa decides not to fix his grammar. How can I get my stream to be French? Gratz on 20k. Your titles still annoy me though, since they are a different colour from the TL background on my screen at least. Just now rated it 5/5 because there was no lichter shout-out. Haha thanks for the shout out ! 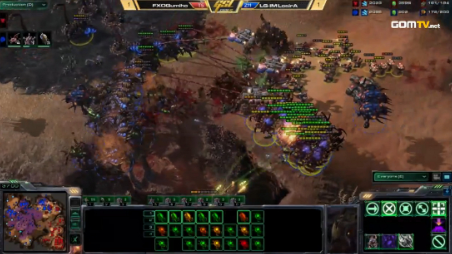 I need to prove something to myself tho: is the second picture from Taeja vs Inno during 2013 season 2 finals? is from Dreamhack Summer 2014.